Justin Dunn’s rugby career at the University of California was relatively brief, spanning just one autumn and two springs. But the 6-4, 200-pound wing accomplished a lot in that time, transitioning from his experience as a gridiron Golden Bear, which was halted by injury, to the rugby pitch, where he ended 2017-18 as Cal’s top scorer in 15-a-side play and was named a first-team USA Rugby 7s All-American. Dunn was recognized in May by the Department of Intercollegiate Athletics as co-recipient of the Walter A. Haas Jr. Community Service Award. The Haas Award is named for the patriarch of Levi Strauss & Co. who graduated from Cal in 1937 and in whose memory Haas Pavilion was renamed following its 1999 renovation. This year’s award went to exceedingly deserving co-recipients in Dunn and volleyball’s Ashten Smith-Gooden. Dunn served as a Haas prospective student advisor in one of his many service-oriented pursuits, helping fellow students with their class schedules, applications and essays in their effort to join him in the business school. As an underclassman, Dunn was a SAGE Mentor at John Muir Elementary School, where he promoted the value and pursuit of higher education. He was a founder and president of Young Life College Club, which focused on building a strong community of students emphasizing acceptance and service of others, and a member of Athletes in Action, for which he served the last of his four years at the organization as its president. Dunn also faced serious health challenges during his collegiate career that failed to deter him from his commitments. As a sophomore, after successfully reviving a dormant Bible Study group on the team, Dunn sought treatment for ongoing respiratory trouble and found himself in the hospital for weeks undergoing two lung surgeries, which left him bedridden from a period of months. During this dire period, Dunn said, “I had to rely on my faith. I could barely move.” He also relied on family. “A family adage we have is when you’re committed to something, you’re committed to it,” he said. “Whatever it is, if I committed to it, I’m going to stick to it.” Dunn had begun the application process to Haas prior to his surgeries and remained steadfast during his health scares. When he was accepted, he seized the opportunity to use his experience at Haas as a platform to be of even greater service to others. 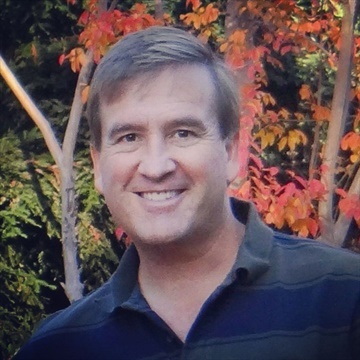 In Haas, Dunn helped to found and run the startup SmileyGo, a grants management software platform that connects non-profits with corporations to facilitate corporate philanthropy and grants, en route to earning an Entrepreneurship and Technology Certification from UC Berkeley distinct from his Haas degree. Dunn also helped initiate and coordinate an annual volleyball tournament in honor of fraternity brother, Tim Vorenkamp, who died of synovial sarcoma during Dunn’s sophomore year. The event continues to support the “To Live for Others” Foundation, which raises money for children with the disease. Having chosen to end his gridiron career following the lung surgeries, Dunn revived his athletic pursuits when he joined the rugby program as a junior. It was the first time he had picked up a rugby ball since childhood, when he spent a couple of seasons as a youth player. Although the learning curve with Cal rugby was steep, Dunn was happy to contribute to the team’s success both on and off the field. His gratitude was mutually felt by rugby head coach Jack Clark. Athletics are a big part of his family’s connections to Cal, which span four generations. Dunn’s father, Steve, threw a key block in 1982 to help spring The Play; grandparents Lou and Roger Dunn are both Class of 1955; great grandfather Emery Curtice set a U.S. record in the javelin as captain of the track & field team in 1929; and Justin never missed a home football game before joining the team as a wide receiver out of Campolindo High School. Perhaps a connection can be drawn between Dunn’s can-do attitude and his father’s involvement in The Play, the most famous event in the history of Cal Athletics. With Cal down 20-19 and Stanford looking to kick off and make one final tackle to win the 1982 Big Game, Steve Dunn, a defensive back, recognized that the Bears had only 10 players on the field for the kick return. Seconds after he talked his way onto the “hands” team and buckled his chin strap, Dunn made one of the first blocks to allow the five-lateral masterpiece to unfold. “The Play is a fun reminder of what can happen,” Steve Dunn said. “It resulted from teammates never giving in, believing in the moment and trusting each other. Justin Dunn is well prepared to excel in the future, whatever he does and wherever he goes. And no matter the direction life’s road takes him, he knows one thing: “This community has a very special place in my heart. 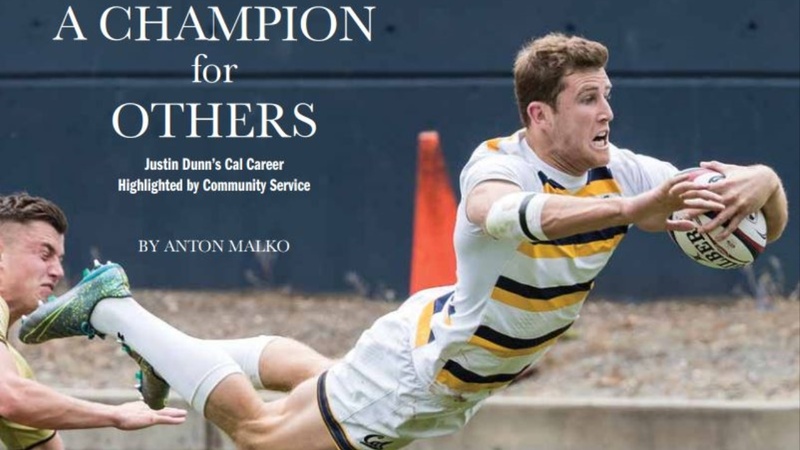 Pretty cool story on former Cal football walk on Justin Dunn's transition to All-American rugby player and his outstanding community service. I know the family well and was a confirmation mentor for his little brother Garrett, who will be playing water polo at Cal in 2019. Wish there were a lot more Justin Dunn's out there. So glad to see him bounce back from all the injuries he had his first two years at Cal.